Step into the world of performance and experience the AMG brand with all five senses – from the powerful sound of the engines to the smell of the leather to the unmistakable design of our vehicles. This is the essence of dynamism, performance and exclusivity. Just like us, our customers are rarely satisfied with the status quo. It is the aim of every single one of the more than 500 AMG Performance Centers worldwide to exceed even the highest expectations. 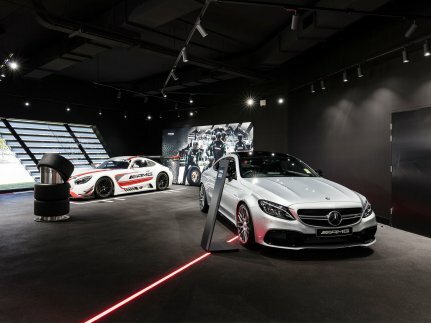 That’s why they not only offer the largest selection of exclusive Mercedes-AMG vehicles but also enable customers to experience our brand’s motorsport DNA up close through the design of their showrooms and AMG Experts trained on the racetrack. The same applies no matter what your interest, be it a compact car, a sedan, an imposing SUV or a spectacular sports car. Would you like to experience Driving Performance up close? Then visit us in one of our AMG Performance Center. Buying a Mercedes-AMG is inspired not by a whim but by enthusiasm and passion. And that is exactly what AMG Performance Centers are designed to cater for. This is where visitors can feel the thrill of the brand and of motorsports. AMG Showrooms are no ordinary showrooms. What you find here is a premium-quality environment complete with motorsport features, exquisite presentations across all media and, of course, a selection of our best vehicles. In any AMG Performance Center worldwide, you can gain an insight into what makes the AMG brand so special – first-class quality, motorsport DNA you can feel, and a sheer love of performance cars. Our customers are no ordinary customers, which is why our experts are no ordinary experts. They are driven by passion and by the desire for Driving Performance. Part of the first-class AMG experience is also first-class advice and support, especially when it comes to individual wishes. Our AMG Sales and AMG Service Experts are among the best you will find in the Mercedes-Benz organization – handpicked and with very high requirements for their professional qualification. 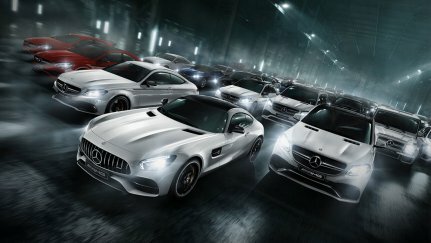 They have been specifically trained by us – on the racetrack, at AMG headquarters in Affalterbach and elsewhere. They know the vehicles inside out and are equipped to provide you with advice that is both well founded and highly competent. But above all, they are only satisfied when you are. In short – when all your questions have been answered and all your wishes fulfilled. This is how we ensure that every single contact you have with the AMG brand is a truly personal experience. In the Japanese metropolis, Mercedes-AMG is presenting in a self-contained architectural structure for the first time. 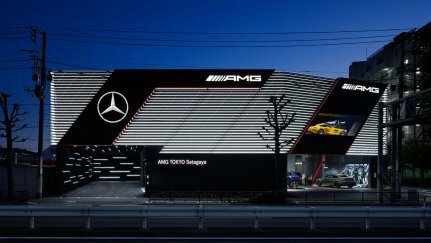 The location in Tokyo Setagaya is not integrated into the Mercedes-Benz car dealership as a “shop inside a shop”, but is designed with a stand-alone concept. 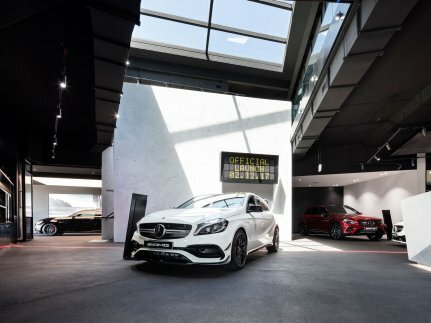 Customers can get an exclusive look at the models and brand worlds of AMG on two levels and spread across a total area of almost 1,000 square meters. Real motorsport situations rooted directly in the performance and sports car brand are also staged. The shop is at the very forefront of the trade network and will help define the upcoming development steps taken in the AMG sales offensive. Tokyo's location clearly will be taken as an example for planned stand-alone projects in other metropolises. 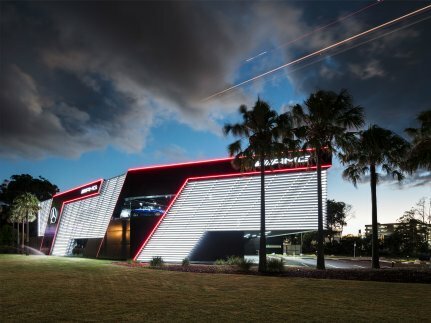 The very first sales showroom worldwide with its own workshop operation offering service, replacement parts and financial services as well as the sale of new and pre-owned cars was opened in Sydney in 2017. 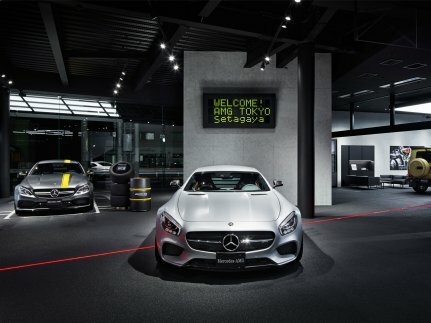 After AMG TOKYO, the full-service facility is the second independent Mercedes-AMG dealership to offer customers an immersive and accessible brand experience. The large showroom provides customers with the chance to experience the thrill of motorsports up close. Premium materials and interactive displays create a very special atmosphere for advice and consultancy. Specially trained AMG Sales Experts and AMG Service Experts are on-hand to address customer needs.